Of course if you’ve been following my blog you’ll know 8-bit Friday’s has been somewhat usurped by my “Out into the Latenight Rift” articles covering late night TV. I know that may seem like an unusual direction to take a video gaming blog, but to me late night TV mixed with video games seems to define my younger life. But, this weekend I’ve actually been able to get back to a regular 8-bit Friday (weekend), so here we go. Gyruss (NES) – I recently saw Lord Karnage’s-Classic Game Room cover Gyruss on the Atari 400/800, and realized I had a copy myself on Atari 5200. Pretty much any game on the 5200 is the exact same version you will find on the 400/800, but you can’t say the same with Atari 2600 ports (yes, I’m talking about you Bezerk). But, as the show ended Mark, mentioned that Gyruss had been ported to NES, and at that my search began to find a copy since I’m trying to gather SHMUPS for the NES. Loose copies average between $8-$10, on eBay. Starfleet Academy (Steam-PC) – I had read and heard a lot of good things about this game, but my new friend at Star Trek Games http://www.startrekgames.net/ had been reviewing this one and it certainly looked like a lot of fun. It’s still downloading as I write this but perhaps I can play it soon. Starfleet Command III (PC) – I finally found a deal for this one on eBay, and jumped at it when I had the chance. If you may remember correctly I covered the first Starfleet Command game in one of my Trekking Through Games articles a few weeks ago, and during the writing progress had looked into getting a copy of Starfleet Command III. Super Pinball: Behind the Mask (SNES)– When last we met I was collecting pinball (video) games. I got more than a few of them, but this one is one of the last ones I bought. To be honest this one isn’t very good. First of all its not based on any real machines, secondly it’s only three machines, each of which are unremarkable (and a bit creepy), and last but not least the controls are unresponsive. 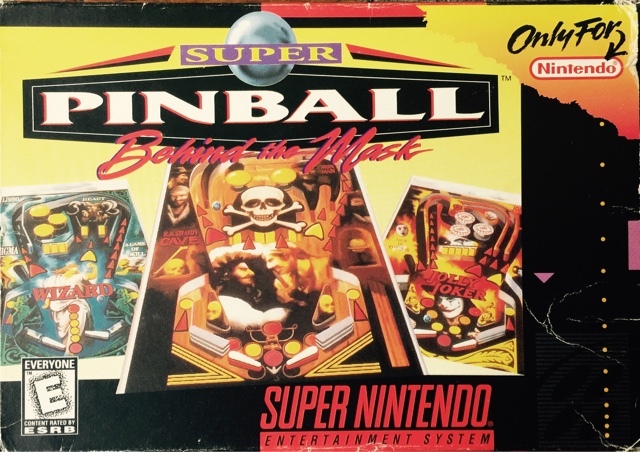 The last part is what really has me down, since it’s useless to have the machine paddles react half to a full second after you want them to, especially since quick timing on paddles is key to the game of pinball. 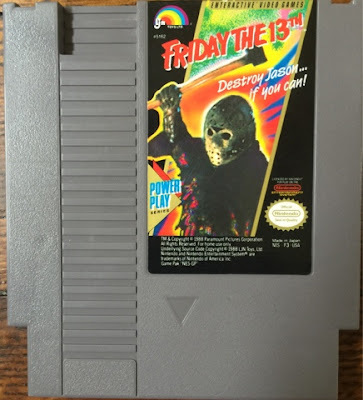 Friday the 13th (NES) – I think I mentioned buying this one in a previous 8-Bit Friday post after a Friday the 13th in May. Anyway anyone who knows about NES games knows this one is pretty maligned. One reason for that is because it’s an LJN game, the other is because it’s a bit frustrating to play. I’m going to be upfront and tell you I didn’t play this one long, mainly due to a patience thing. But, I have to admit design wise it’s actually a pretty good looking game especially as it jumps between a 2D platformer, and 3D (Wolfenstein type) perspective game. I’m actually willing to give this one an longer try, but perhaps I will delay that till Halloween. 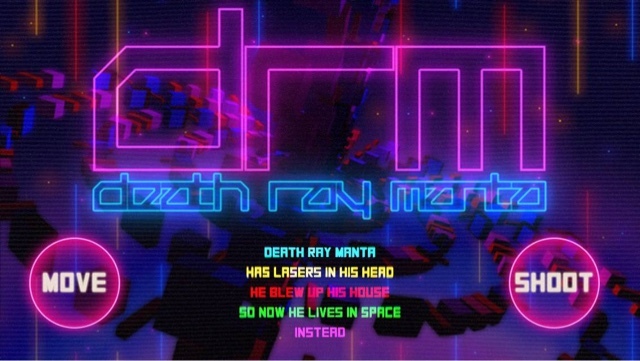 Death Ray Manta – WTF? I’ll just leave it at that. But I would like to thank The Retro League for gifting me this game with Jagged Alliance back in October. 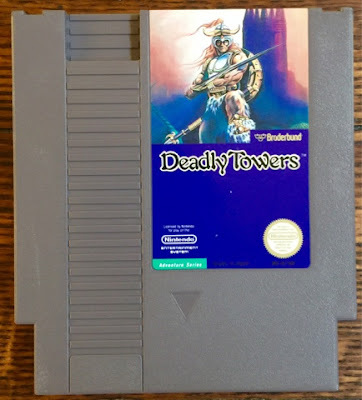 Deadly Towers (NES) – Yet another meligned NES game. Ok, the color palet could be a bit better but it’s not too bad of a game. Legend of Zelda it’s not, but it’s a cute 8-bit game that you could spend some time playing. So with that said its back to watching the Olympics and carving out time to play through my multi-system backlog of games. Have fun everyone and I’ll see you soon.